An easy homemade version of SpaghettiOs that will bring back great childhood memories and is way better for you than the canned stuff. 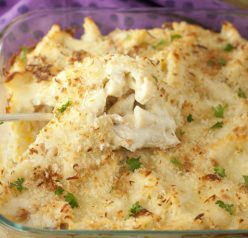 This recipe tastes very close to the original and your whole family will enjoy it. I added shredded chicken to this to make it more of a hearty “adult” meal. 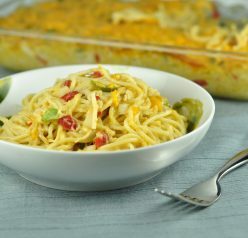 If you are making this for your kids, you can leave out the chicken and it will still be very tasty…also omit the chicken if you want it to taste just like the original SpaghettiOs, but it is a nice alternative/option. Honestly, I’ve never been a really huge fan of chicken and red sauce together (i.e. Chicken Parmesan) – I’m a little bit weird and picky like that when it comes to my food. BUT, Mr. Wishes liked it a lot with the chicken and thought it really made it more of a meal. His reaction to this dish was, “This tastes a lot like SpaghettiOs!” He is very creative with his feedback 😉 But I do love that positive feedback! 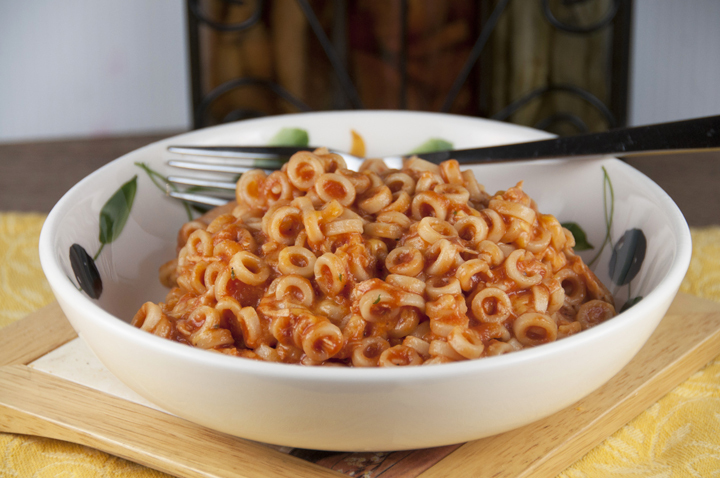 So, if your kids (of you adults out there) find SpaghettiOs to be somewhat of a guilty pleasure…as I do…this recipe is a quick and cheap way to make lunch or dinner for you and your kids without all of the preservatives! Did you miss day ONE of my themed week? I made these Circus Animal Sugar Cookies – be sure to take a look! They were a popular one! Cook pasta to al dente according to package directions then drain under cold water to stop the cooking process. Melt butter into a large dutch oven or pot over medium heat. Add tomato sauce, stirring to combine. Add your cooked pasta to the sauce along with the shredded chicken (if you are using), Ranch seasoning and black pepper. Stir to combine, reduce heat to medium low..
Top with shredded cheese and close lid to melt cheese for 3-5 minutes. You can stir the cheese in or leave it on top. Once cheese is melted, serve. 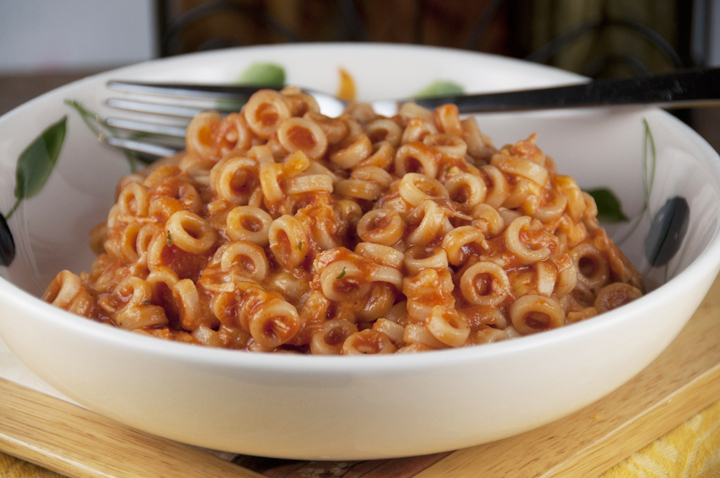 So….we pretty much ate spaghettiO’s at least 1 or 2 times a week for lunch growing up. And I have to admit that I have not eaten them since I started college. Just haven’t brought myself to do it. 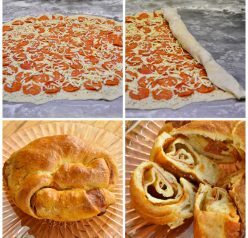 But this recipe intrigues me and makes me think that someday, as a mom, I could actually make this!!! I tore them up as a kid! Its 115am where I am and I just woke my wife Melissa up and dragged her out of bed to send her to Wegmans to get these ingredients and to come home and make them for us. The second best part of this story is that when I told her its imperative to do so because I need Homemade Spaghetti Os right now because I am a “big baby”, she understood. The best part of this story will be in about an hour (215am approx) when these homemade spaghetti o’s are in my mouth and I feel like I’m 10,11, 12 ,13,14,15,16,17, and 18 again -only the healthy version. Thanks Mrs. Dishes (my wife thanks you too (because she likes to see me giddy like a schoolboy), but asks that next time you dont post such a delightful dish at 1am on a 3 degree night). Wow, you must really love SpaghettiOs! Thank you, Johlene! I love ranch sauce, too. Good gosh. These are insane! Incredible! I ate them all the time growing up! Thanks, Charlie! Oh my – I LOVED spaghettios when I was a kid, too. LOVED. I always liked the ones with the little meatballs in them best. I’ve never thought of making a homemade adult version before – nice work! I LOVE pasta – I’d eat it every day if I could 🙂 Thanks, Kat! It is very good!! Thanks! I loved spaghettiOs as a kid! Brings back memories. I would have had no idea how to make them. Sounds delicious! I hate to admit this but I am 48 years old and I just had them for lunch! I can’t wait to try this version! I can’t even begin to tell you how many cans of SpaghettiOs I’ve eaten in my life. What a fun trip down memory lane! This is a great idea. Thanks for coming up with the recipe. I ate countless cans of them… Even well into my adulthood. No shame! Yay for healthy versions of comfort foods which look this awesome! I can’t believe you’ve never had them! LOVE this!!! I was so obsessed with spaghetti os when I was a kid. Cannot wait to try this! Sounds tasty and comforting spaghettios pasta…. Who wouldn’t love homemade SpaghettiOs? I sometimes ate these when I was a kid, too, but haven’t had them for years (we’re talking decades and decades). Really fun recipe — thanks. I used to love SpaghettiOs as a kid, but then I got freaked out by them one day and never ate them again. I think as this is a homemade recipe that looks even better, it would get me to love them again! These definitely look like spaghettiO’s! I could never eat them. I always thought they tasted like the can. lol Homemade rules!! You’re right- they kind of did! I made those for my daughter and she really liked them 🙂 it’s so comforting to make something she actually enjoys to eat 🙂 she is a really picky eater. Thanks Ashley! Thank you so much for letting me know!! I was always a picky eater too so I understand 🙂 It gets better!